Extra gentle exfoliating sugar crystals, infused with Sweet Almond & Grapeseed oils will brighten and smooth hands, while Carrot Root extract adds optimum moisture to reveal healthy glowing skin. When used as part of your daily routine, it will leave hands feeling soft and deeply hydrated. 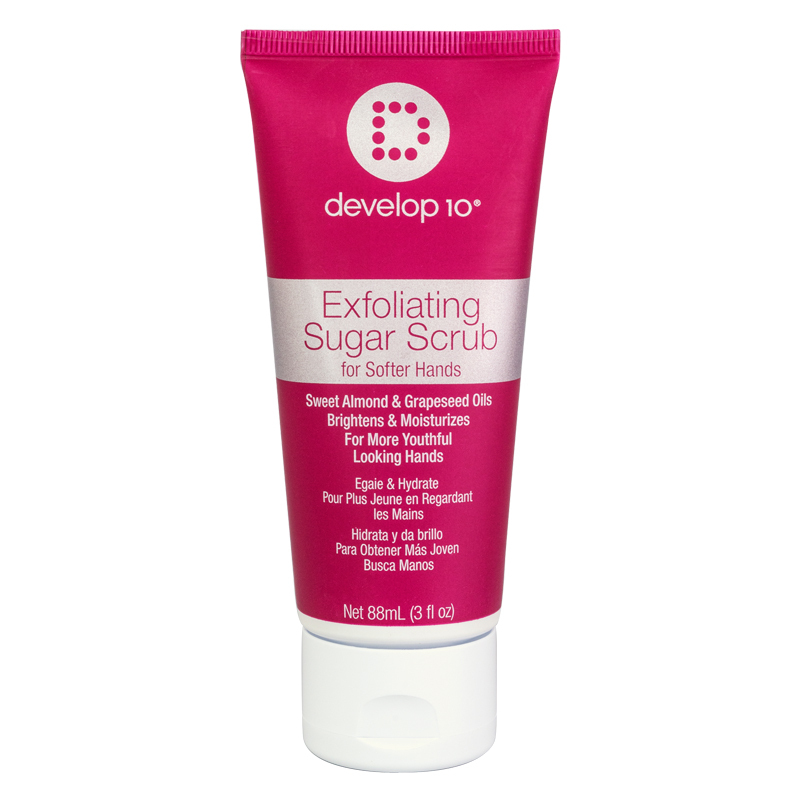 Directions: Massage the exfoliating sugar crystals gently in a circular motion, with attention to back of the hands and driest areas. Rinse thoroughly to reveal brighter, smoother skin. Follow with Develop 10 Keratin Infused Hand & Nail Cream for maximum benefit. Warning: Keep away from heat and children. Avoid contact with eyes. If contact occurs, rinse immediately with water. For External use only.